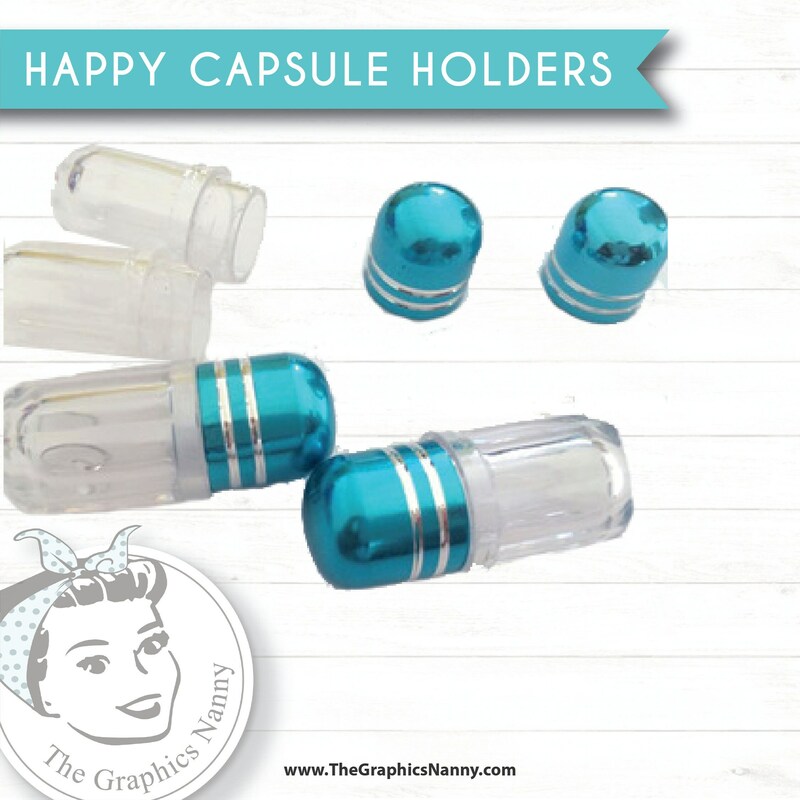 Set of 30 Capsule Holders. These accomodate 1 capsule nicely. Comes with a clear base and a pop-on teal lid.